Identity, website and collateral created for a new lifestyle brand specializing in a unique design approach to creating healing spaces. Healing energy is represented with the "Flower of Life" symbol used in the logo and incorporated into collateral pieces. Logo variations, website, lookbooks and hangtags enforce the young and fresh brand of Audition Dancewear, offering unique, trendsetting designs. 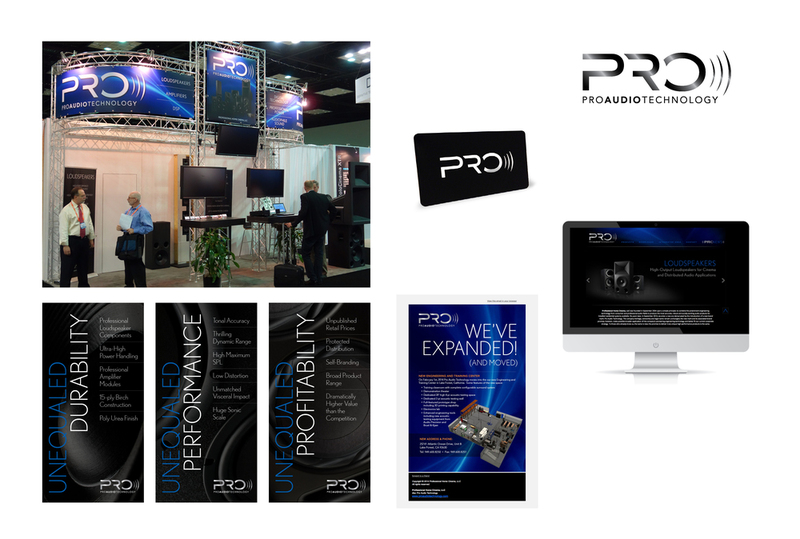 PRO is the focus of the Pro Audio Technology logo and features prominently from the business card to the website, email marketing and trade show booth. 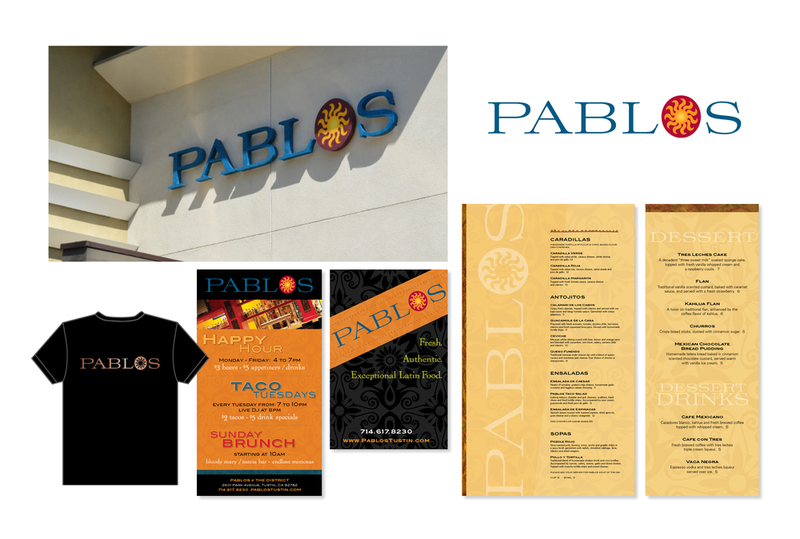 Logo, color story and imagery used consistently on menus, signage and marketing material to communicate the brand of a lively, upscale Latin restaurant. 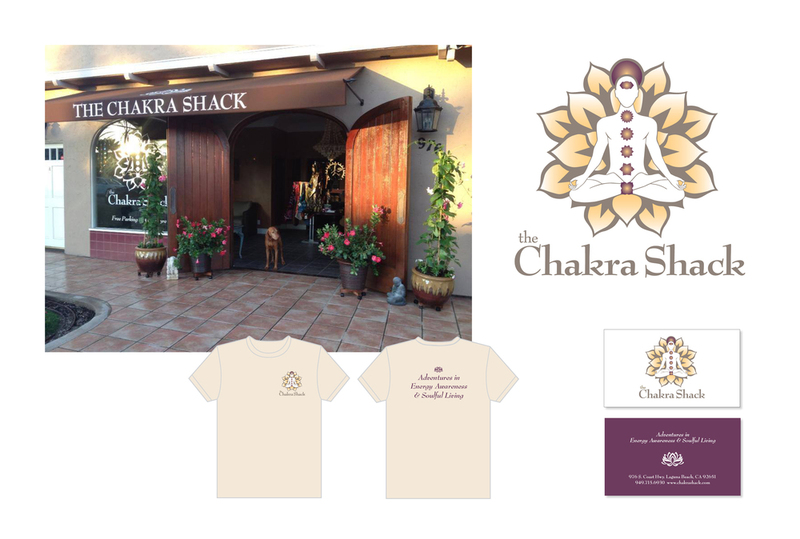 Beginning with an existing icon, The Chakra Shack brand evolved from a new logo and color palette to storefront graphics, business cards and t-shirts. Logo, identity system, studiowear, poster and website to reinforce the brand of a ballet and contemporary dance academy. With a new logo and simple icon, Expressions Gallery, an upscale paint line from Behr used fine art as a link between all pieces from the rack graphics to color-chipped brochures.